To celebrate the festival of lights, Bollywood is out in full finery. For a celebrity party, Sonakshi Sinha was one such fabulous looking attendee. The actress wore a green and silver lehenga choli, accented with a radiant makeup look, sleek bun and stunning earrings. The ethnic earrings lent a traditional touch to her ensemble and highlighted it tremendously. If you'd like to stylishly accessorize your traditional wear like Sonakshi Sinha, choose these 3 earrings. For a pair similar to what Sonakshi is sporting, pick the I Jewels Chandbali Earrings. The gold-plated set comes in the traditional gold style with pearl drops at the end. 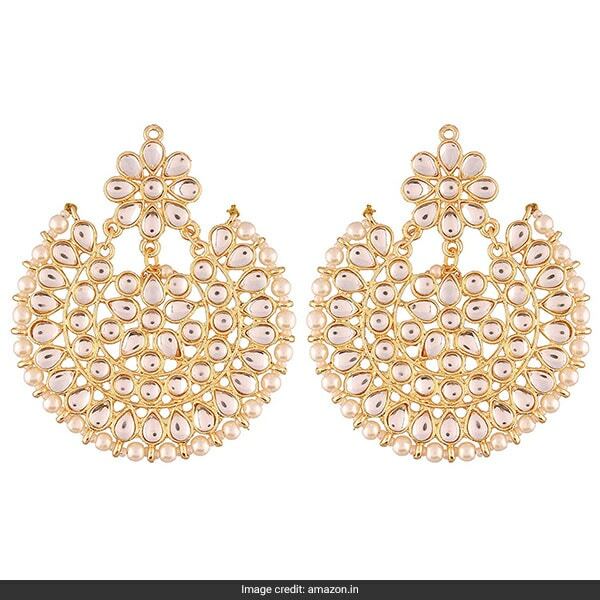 They are available for Rs 289 from Rs 2490. Shop here. If it's a statement-maker you wish for, the Shining Diva Jhumkas are your answer. 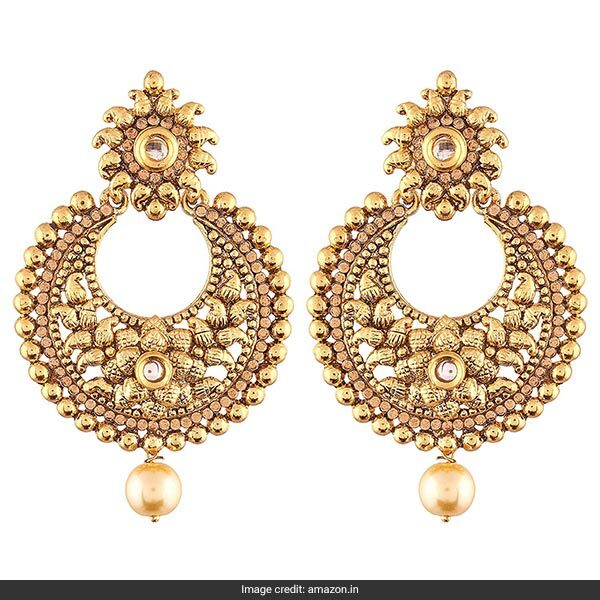 The brass alloy earrings are studded with pearls and finished with a peacock motif in the centre. 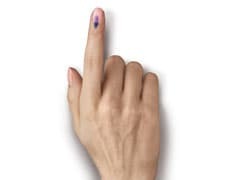 They are available for Rs 399 from Rs 2999. Shop here. An elegant pair that's sure to pass the test of time is the I Jewels Dangle & Drop Earrings. 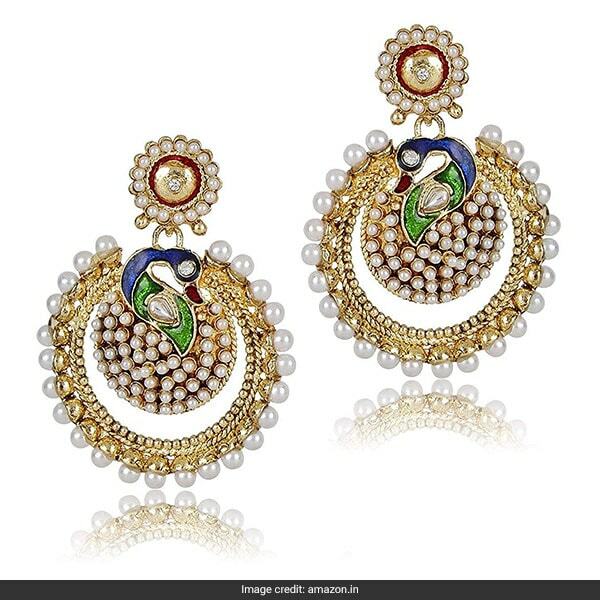 The kundan and pearl design is a sure shot classic that's also lightweight to wear. They are available for Rs 329 from Rs 2590. Shop here. Which of these pairs will you be picking to accessorize like Sonakshi Sinha? Tell us in the comments.